Pixie is all in vogue at the moment. If you have gorgeous golden blonde hair, do try this sensational hairstyle at least once. The slightly rolled up layers and the ash brown lowlights have given the style a new dimension. Complete your look with a subtle messy finish. Instead of being a comparatively newer concept, asymmetry is ruling the hairstyle industry. This asymmetric bob is enough to give you an idea about it. Do not forget to balance your look with that long, side-swept bang. Your soft and voluptuous curls can enhance your look significantly, if synchronized with a perfect short bob cut. Does this picture sound the same? Just create a middle part and let the curls hug the outline of your face gently. 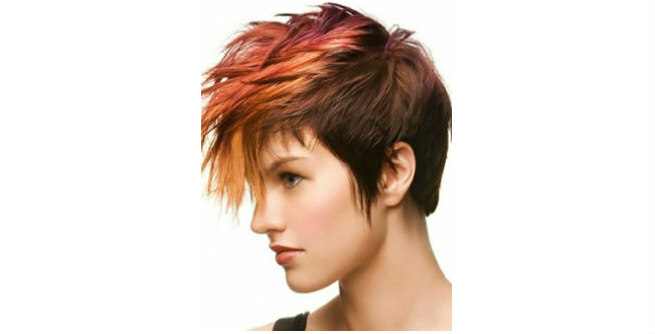 Here is a modified version of pixie haircut that would reflect your beautiful and bold nature for sure. 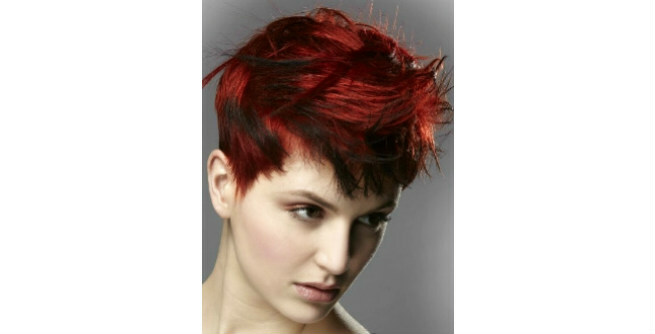 It comes with sharp spikes to add smartness as well as sporty vibe to your style, while the fiery red shade with black highlights make it bold enough. Let your short bob contour your face perfectly. 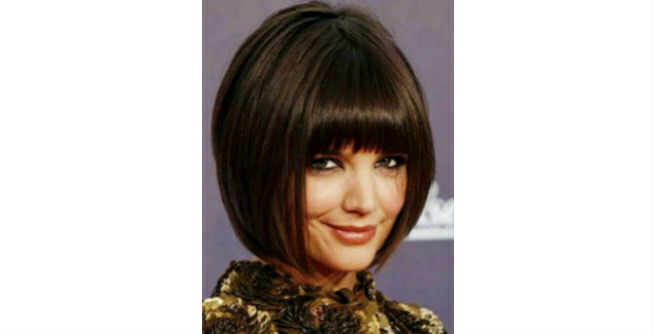 It is quite a simple round cut with a long, delicate bang that embraces the face up to the chin. Too cute! Those who have super curly hair may opt for this short bob hairstyle without thinking twice. It is basically a layered bob that gives the hairstyle added volume and makes those intense coils look effortlessly beautiful. This is a common yet extremely popular short hairstyle and the best thing about it is that it suits almost all faces shapes. The casual chin-length bob can put your wide cheekbones or jaw line out of the sight, while the straight fringes can hide that broad forehead perfectly. This hairstyle should be carried off with extreme confident and right attitude. It can easily make you look stunning and stand apart from others. Just take a look at those razor-sharp edges, relaxed fringes and brown lowlights. Don’t you think so? If volume is what you need for you super fine hair, this inverted bob will serve your purpose greatly. 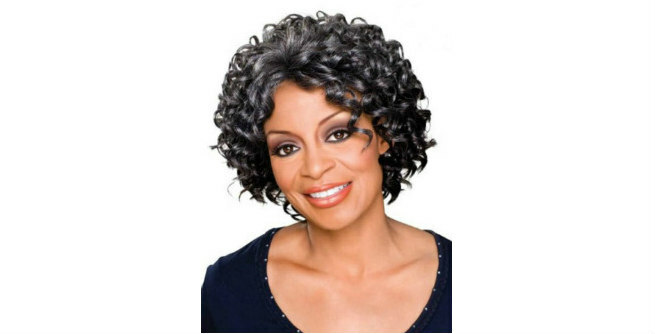 In this hairstyle, the layers start right from the chin and become shorter in length as you go to the back of the head. Simple yet smart! Finally, here is a stylish mohwak with lots of shades and texture. Those who love to experiment with their hair should definitely give this one a try. So, do you also dare to adopt this look?